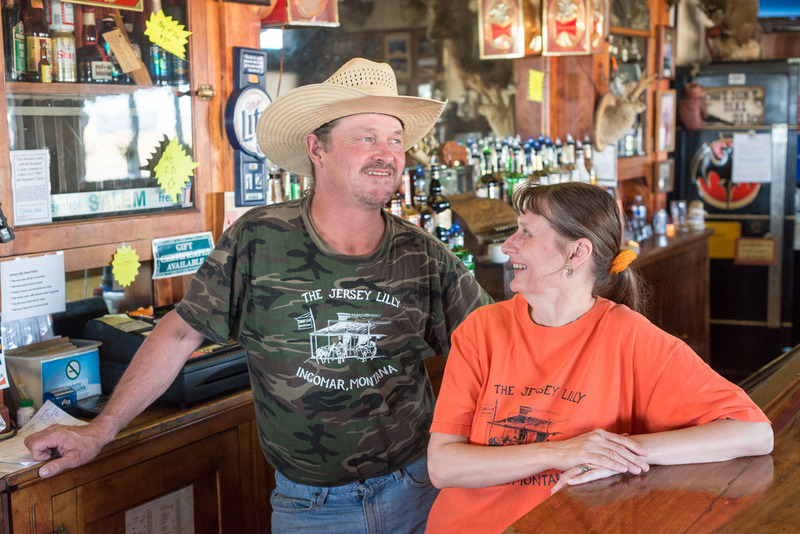 Boots Kope and June Nygren are the current owners of the Jersey Lilly. Nygren says she worked there five years before she and Kope bought the place. That was five years ago. The couple is looking to sell, though not very hard. Their only advertising is a sign in the south window of the bar. “We’re looking for the right buyer,” says Nygren.